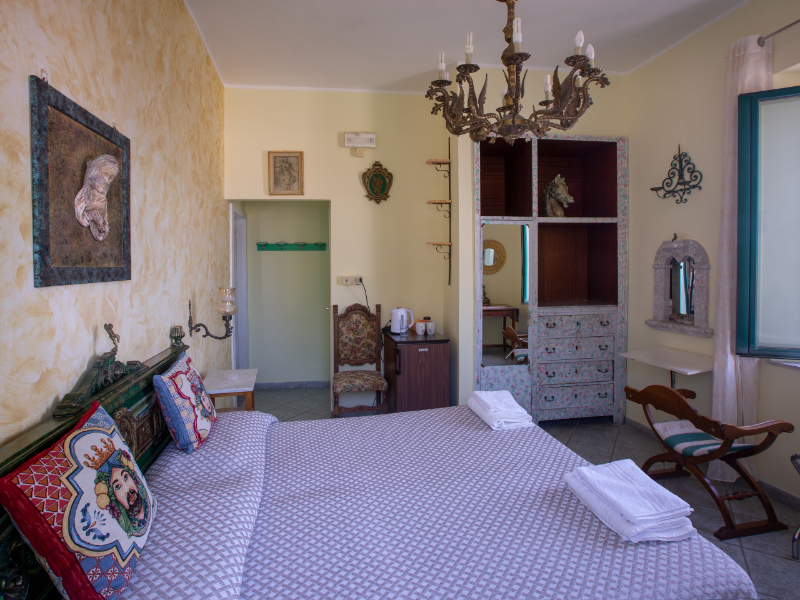 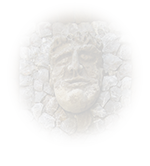 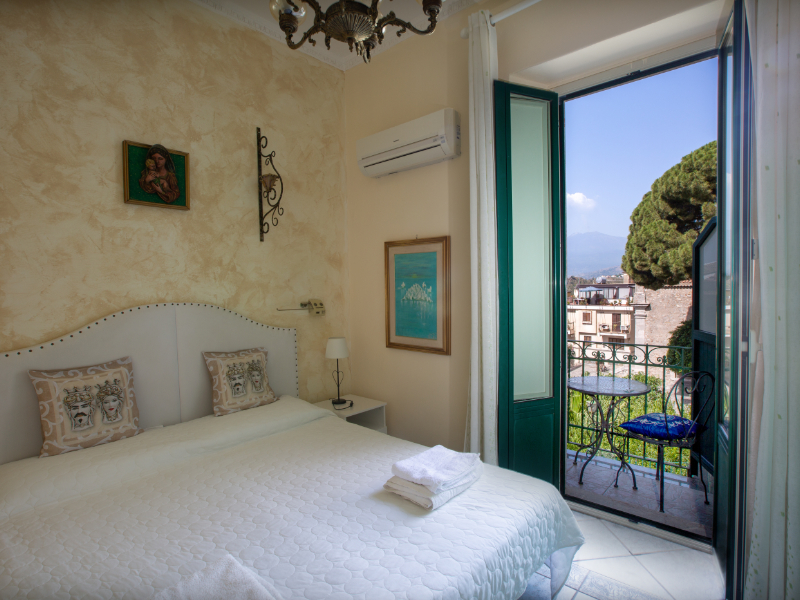 Lovingly furnished, and each one different from another, the six bedrooms of Villa Gaia boast rare period furniture and antiques found in the antique fairs and shops of the area during the years, and restored to their original splendor by the owners themselves. 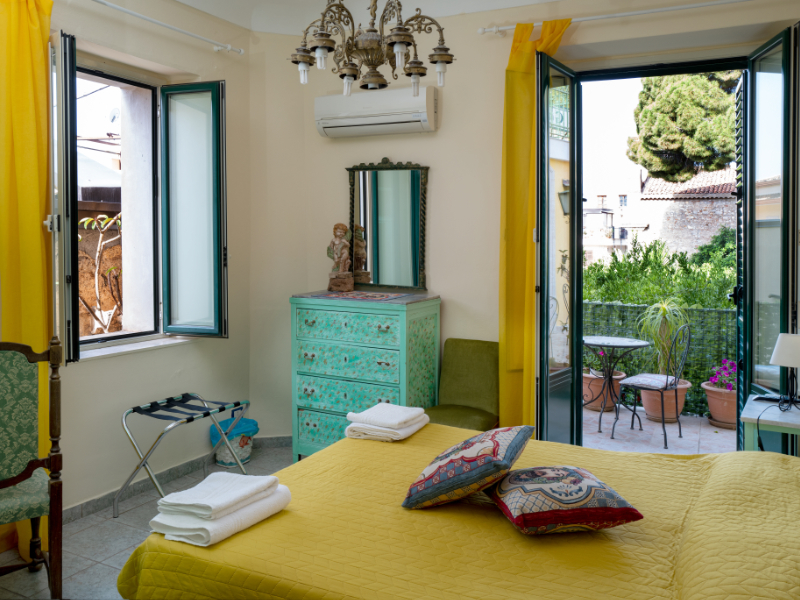 Every corner of the historic residence breathes this attention to the smallest of details for this house with a friendly and charming environment. 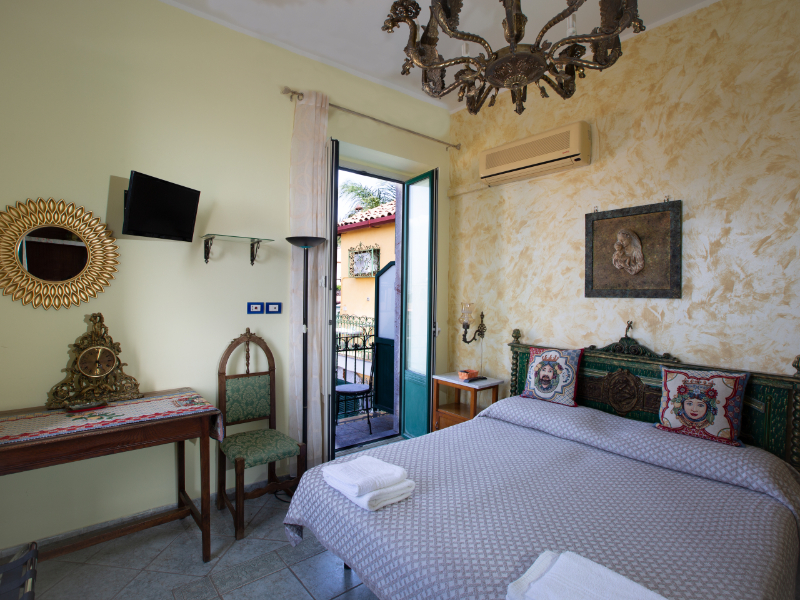 Decorated with inspiration and attention to details, the rooms of the pretty villa have every modern comfort, such as bathroom with shower and hairdryer, heating and air-conditioning, TV., radio, fridge, mini-bar, kettle and - a little extra luxury – orthopedic mattresses for restful nights. 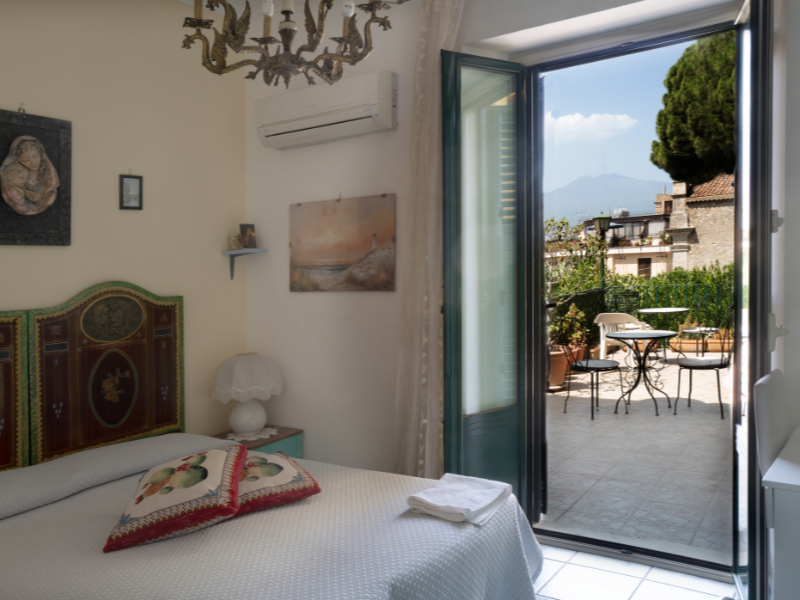 All the bedrooms with balcony have spectacular panoramic views which extend from the majestic volcano Etna, passing luxuriant gardens, to the crystal-clear waters of the Ionian Sea.